The GC – Grand Central On Angas Street – Grand Central Showroom, Thu 14 Mar. 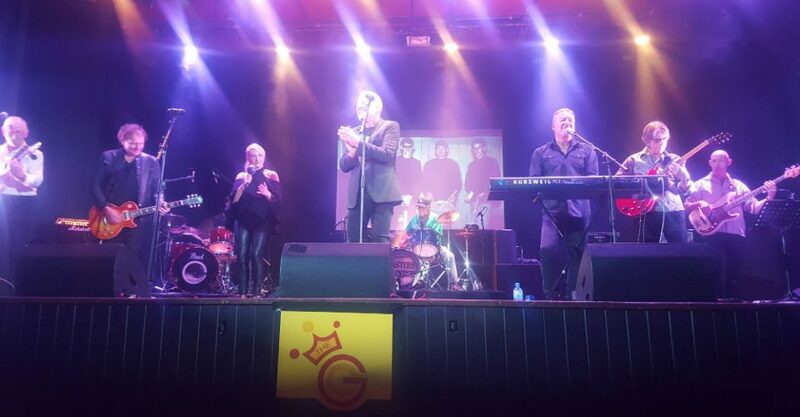 Once again, Rob Pippan Promotions have put on some remarkable entertainment by bringing the founding members of the Masters Apprentices back on stage once more for the 2019 Adelaide Fringe. With a now permanently extended line-up of both Mick Bower and Rick Harrison as well as Rob Pippan on guitars, Brian Vaughton and Matt MacNamee on drums, Nanette Van Ruiten on vocals, Sean Duncan and Gavin Webb (appearing briefly) on Bass, Ian “Polly” Politis on keyboards and vocals and Craig Holden on Vocals, the dectet rock extravaganza performed the works of the masters with the finesse and power of a modern rock show. The show takes you on a journey through the ‘60s era of the Masters with anecdotal banter and narration from both the band and their host, Aussie radio legend John Pemberton. Packed with songs from the groups first album including hits like Undecided and Living In A Child’s Dream to classic ‘50s and ‘60s rock covers like Van Morrison’s Gloria” and Baby Please Don’t Go. Tonight’s concert also featured the debut performance of three new tracks I Want To Be Home, Let You Go and Bye Bye Baby and a homage to Jim Keays with It’s Because I Love You and Turn Up Your Radio. Hands Of Time is a spectacular event with some fantastic vocal performances from Van Ruiten, Holden and Politis. A professional production commanding the attraction of many and a presentation worth the standing ovation, and a nice dosage of nostalgia for those who remember and a great show for ‘60s rock fans. A must see for any Masters Apprentices fan. Fabulous homage to a legendary Adelaide band.